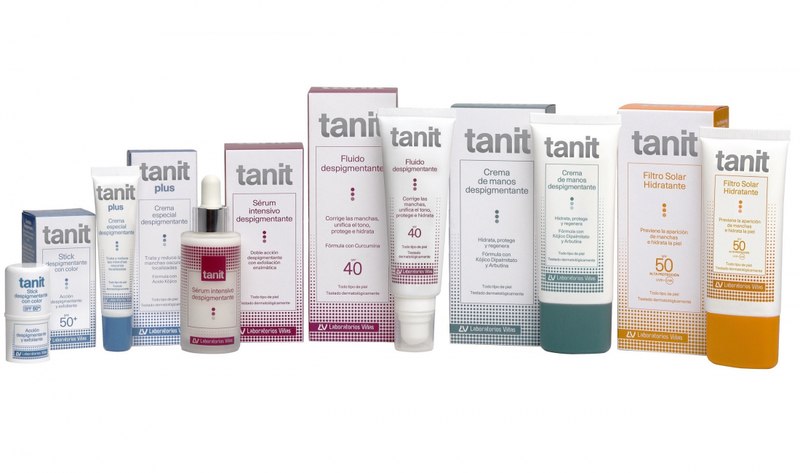 Tanit, a full range of products for the treatment of skin spots. Dark skin spots are a growing reason for concern and pharmaceutical consultations. The appearance of these spots is due to a skin pigmentation disorder caused mainly by excessive sun exposure and skin ageing. To fight them, Tanit is the pharmacy brand expert in anti-spot treatments, combining experience and innovation. Two strategies are required for the treatment of spots: sun protection and products with depigmenting action. The products in the Tanit range contain depigmenting ingredients which are well known in dermatology, such as kojic acid, natural bearberry extract, and curcumin, a potent antioxidant. They also include high-protection, broad-spectrum sunscreens.